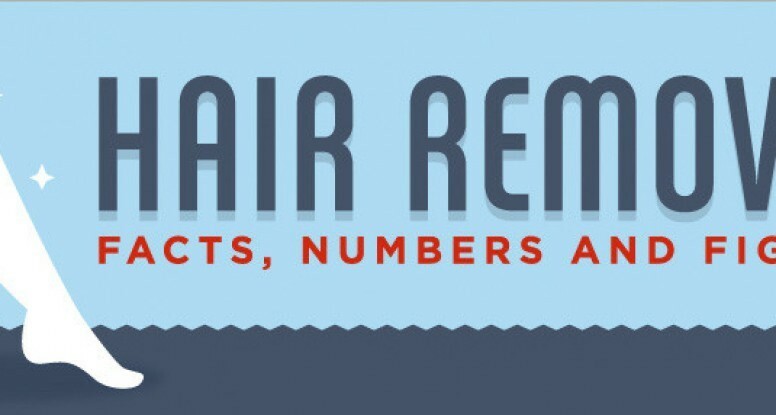 Lucy Peters, has recently released an infographic that visualizes the facts on hair growth and hair removal. The graphic highlights some interesting statistics about human hair, popular hair removal products and services as well as the costs. Every year, hundreds of thousands of men and women seek treatment to remove unwanted hair from the arms, face, legs, back, chest, abdomen, underarms, and bikini area. based on these new statistics, the popularity of hair removal treatments in the USA keeps growing every year. Laser hair removal is almost a painless alternative to shaving, waxing or doing an electrolysis and can result in the permanent hair reduction in the number of body or facial hairs. The Smooth System ™ is the ONLY permanent hair removal treatment in the world approved by the United States FDA. It works on any hair type and any skin color — guaranteed. Checkout this informative infographic on hair removal to see how this procedure has steadily been growing in popularity in the United States amongst women and men. Growth rate for human hair is about 6 inches per year. 1 million laser hair removal treatments performed in 2011. The FDA approved commercial lasers for permanent hair reduction in 1997. The number of hair removal procedures performed in the US increased by 47% between 200 and 2011.